It’s pretty rare that I can’t find information about a band or artist. Typically it takes me typing the first three letters of their name into Google. BAM! Information overload. I believe the only other album I wasn’t able to find any information about was Bonnie Anderson. The closest I could find for her was a character in a Pixar movie. The only information I could find for Mirror Image was the actual definition of a mirror image. To be fair, I rarely can make it past the first few pages of the useless information so if you find anything out there, let me know!!! 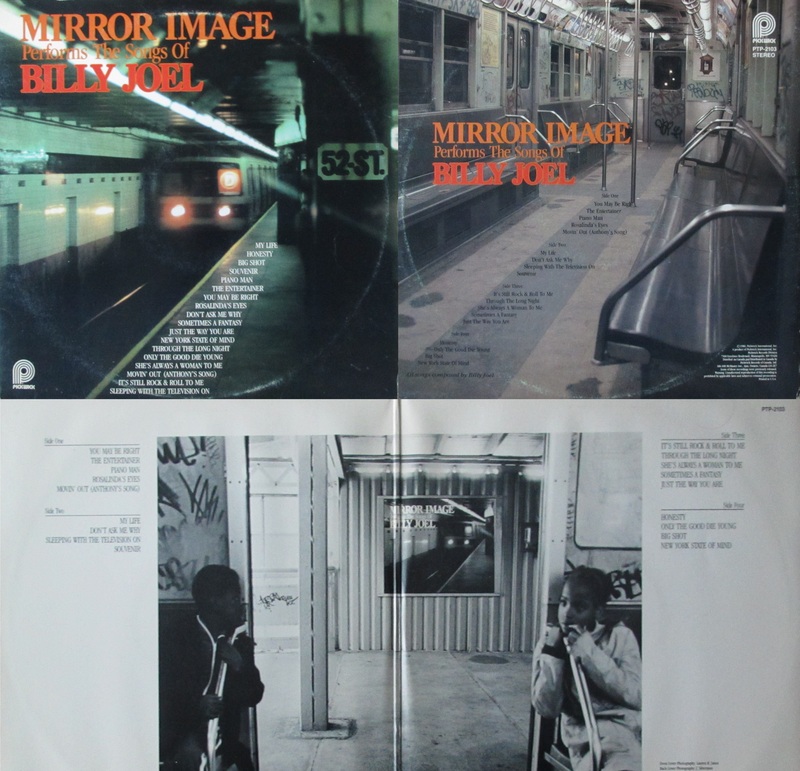 At least with Mirror Image, I know what to expect: Billy Joel songs!